You should always be focusing on the highest level of security for your business or home office. Keypad locks are extremely beneficial because it makes it easy to get into the building without having to rely on a key. At Pros On Call, we can provide a mobile commercial locksmith to help you with installations and repairs. You no longer have to use a key all the time or worry about employees keeping extra copies of keys after they no longer work for you. Just enter a combination of numbers and the door unlocks. It really is that easy. You can get in touch with us 24-hours a day to learn more or request immediate services for your keypad locks. Why Carry Around A Bunch Of Keys If You Don't Have To? Keypad locks aren’t dependent on a key. It can be part of access control systems so you’re in greater control of who has access to what areas. You might want to explore various lock system options within your business and our expert technicians can help. You no longer have to use a key all the time or worry about employees keeping extra copies of keys after they no longer work for you. Just enter a combination of numbers and the door unlocks. It really is that easy. Plus, we’re experienced with all of the top brands, including IDenticard, Honeywell, Bosch, Stanley, and more. We will be able to talk to you about all of your options when you call. At Pros On Call, we’re a 24-hour locksmith service that will offer you repairs, maintenance, and new installations. You can enjoy 24/7 keypad lock installation, repair, and maintenance solutions for your business! A keypad lock repair is available when you need it the most. We’ll diagnose the problem and get you functioning again quickly. Keypad lock maintenance will also make sure that you don’t have any long-term problems. We can help with password resets and address any issues you might be having. Maintenance will also help to keep your system running smoother throughout the year. You can count on us for a wide array of services. We have experienced locksmiths who take the time to understand your needs. We’re always training our staff on the latest and greatest products and techniques so that we can help you choose the perfect keypad lock system to install for your commercial property. Regardless of the size of your business, you need to be realistic about how you’re going to keep it safe and secure. 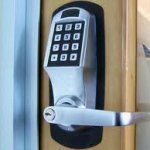 Access control systems like keypad locks are rapidly changing and offer a high level of technology. You need to consider how the various locks are going to help you improve business operations. 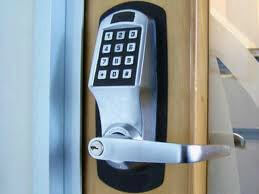 Keypad locks will allow your employees to get into the building without having a key. Particularly when you have a high employee turnover, it might not be beneficial to assign keys and then expect to get them back. Additionally, if you have a last minute schedule change and can’t get keys into the hands of the people who need them, you can simply provide them with a keypad combination. This ensures that your business gets opened and everybody gets what they need without having to rely on a key. Contact us today and learn more about the benefits of keypad locks installations and what model is right for you. Or, you can request our emergency locksmith services and we will arrive at your location in under half an hour. We’re there when you need us most! Keypad Locks https://prosoncall.com/locksmith/commercial/keypad-locks/ 3.6/5 based upon 11 reviews.